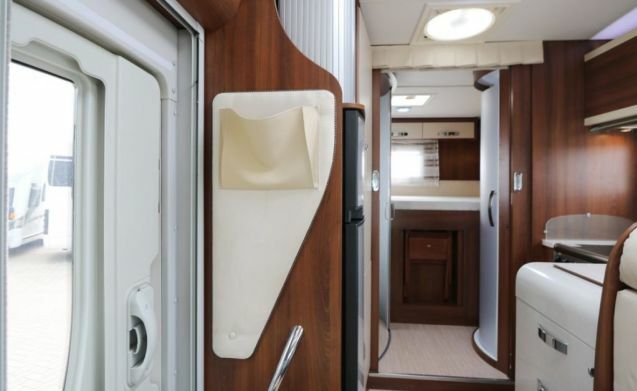 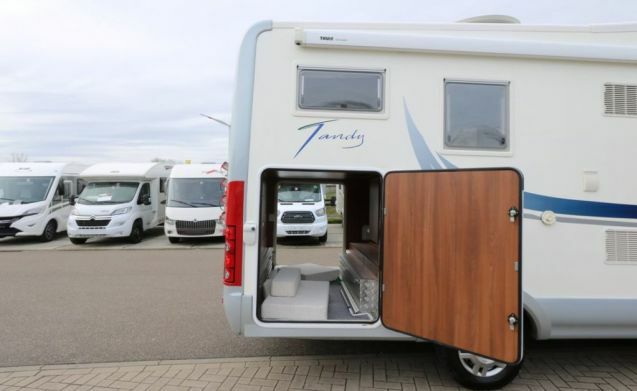 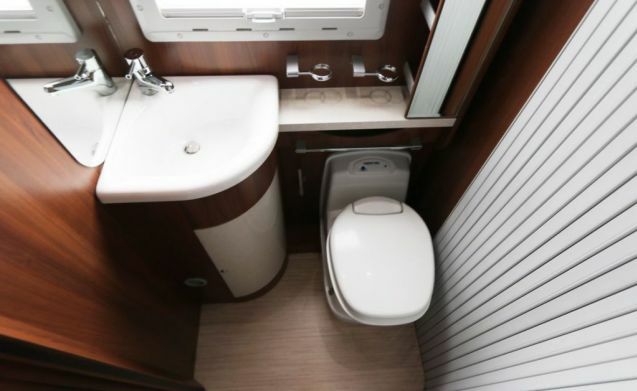 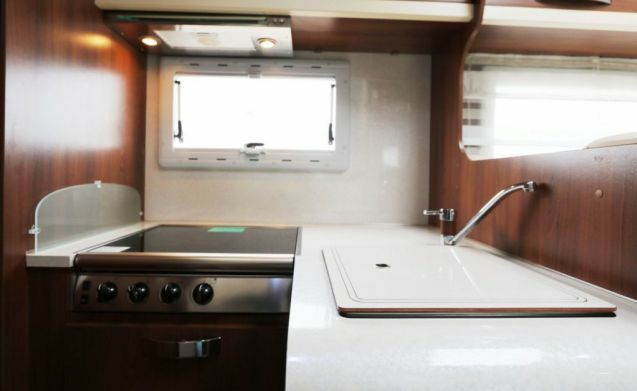 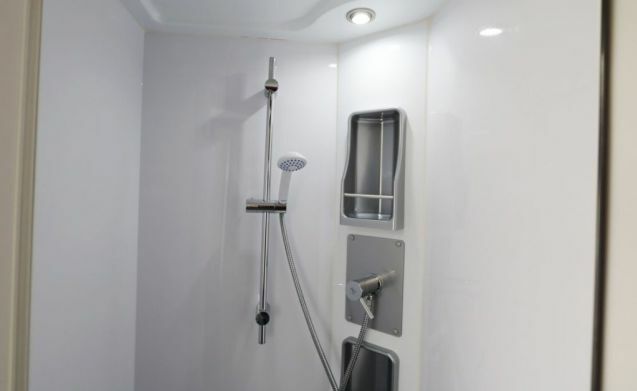 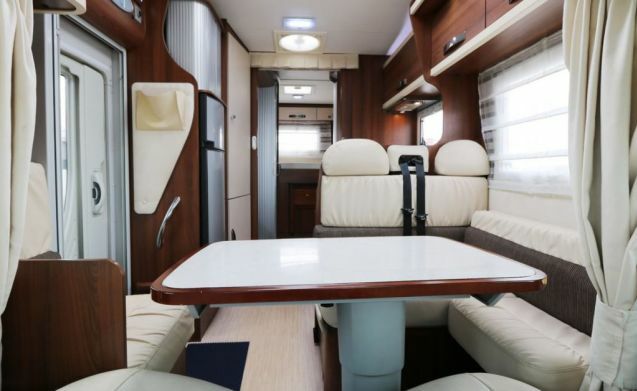 Enjoy all the space and luxury in this alcove Motorhome. 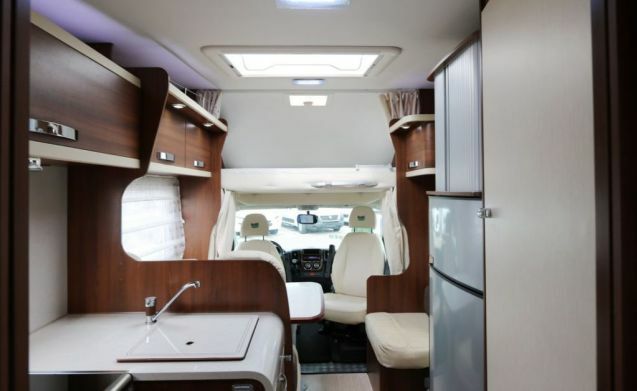 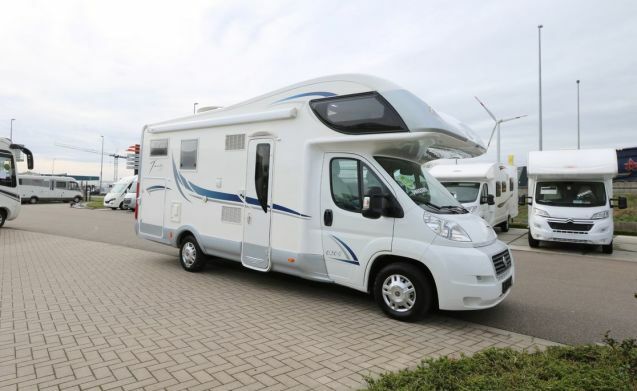 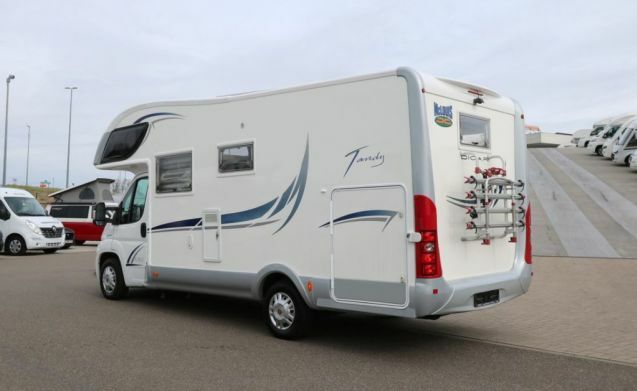 This modern motorhome can accommodate 5 holiday makers. 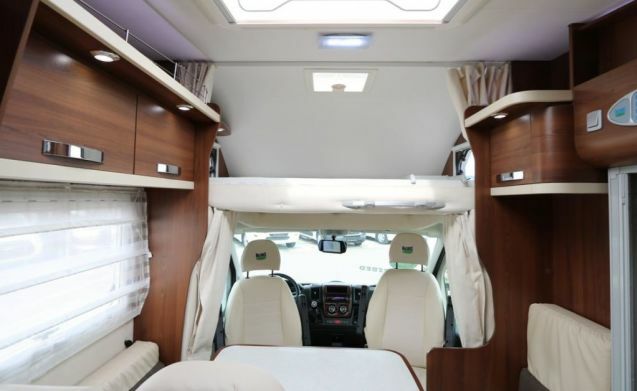 You lie on comfortable Campur mattresses both in the alcove and at the back. 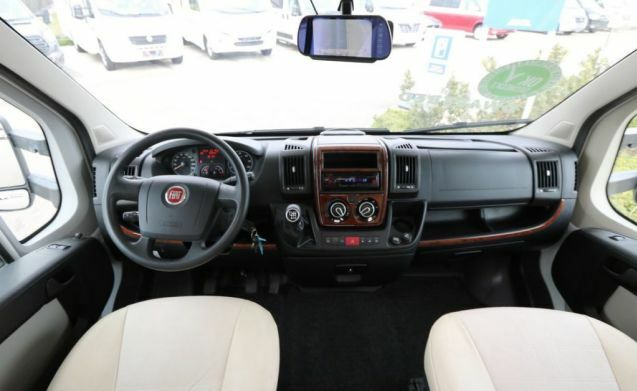 Equipped with a manual diesel engine of 131 hp with air conditioning and cruise control. 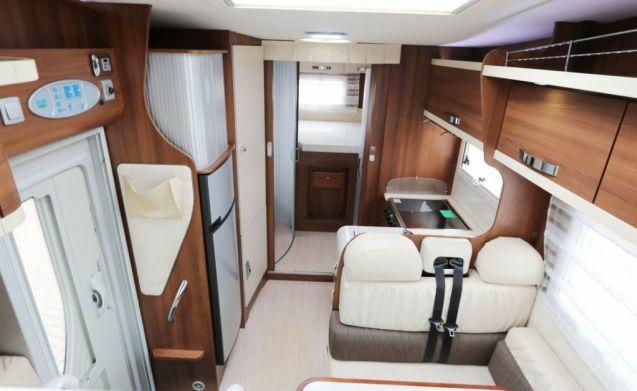 There is also a color reversing camera, a CD player, electric windows, swivel cabin seats with comfortable armrests and a rear bicycle carrier for 4 2-wheelers. 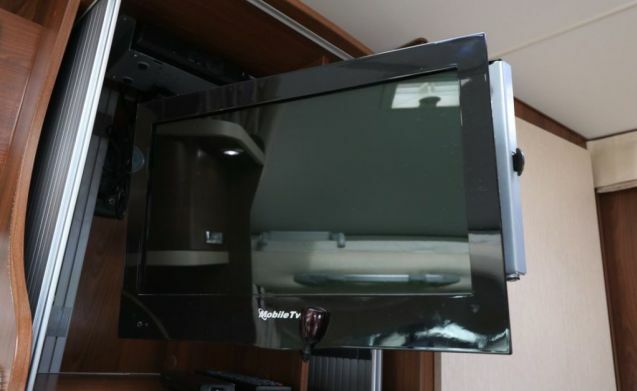 Very spacious suitcase, solar panel, satellite antenna, TV & DVD. 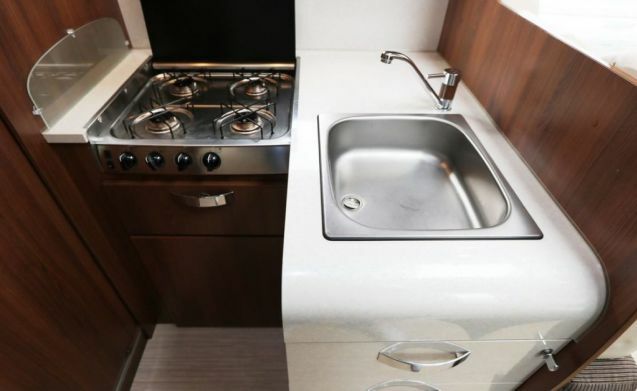 The kitchen is equipped with a fridge and separate freezer, 4 hotplates and extractor. 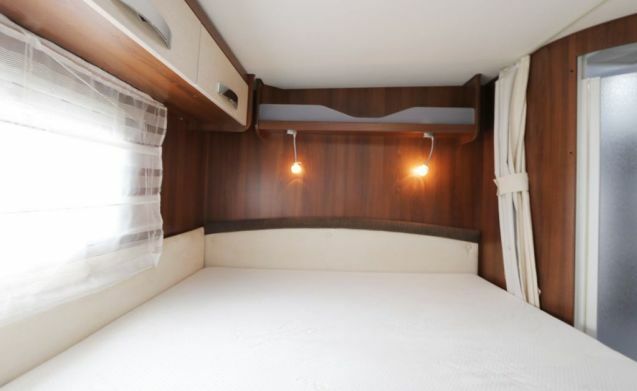 Bedroom is lockable.